Z was just the beginning! With A to Z Mysteries® Super Editions, chapter book readers keep on collecting clues and solving mysteries with Dink, Josh, and Ruth Rose. Now with over 8 million copies in print, this classic kid-favorite series is back with a bright new look! 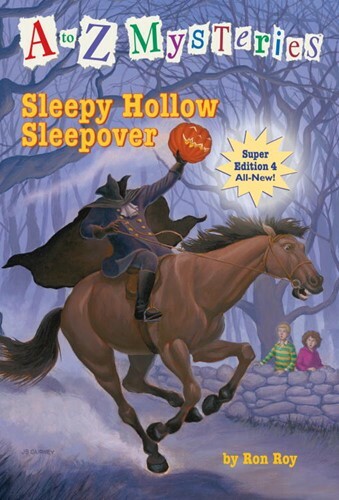 Is there a real Headless Horseman haunting Sleepy Hollow? Dink, Josh, and Ruth Rose will sleep in a cabin, take a haunted hayride, and go to a party near an old graveyard. But strange things start happening that don't seem to be part of the spooky fun. Has the famous ghost story come to life? Look for hidden messages inside A to Z Mysteries® Super Editions! From the Trade Paperback edition.